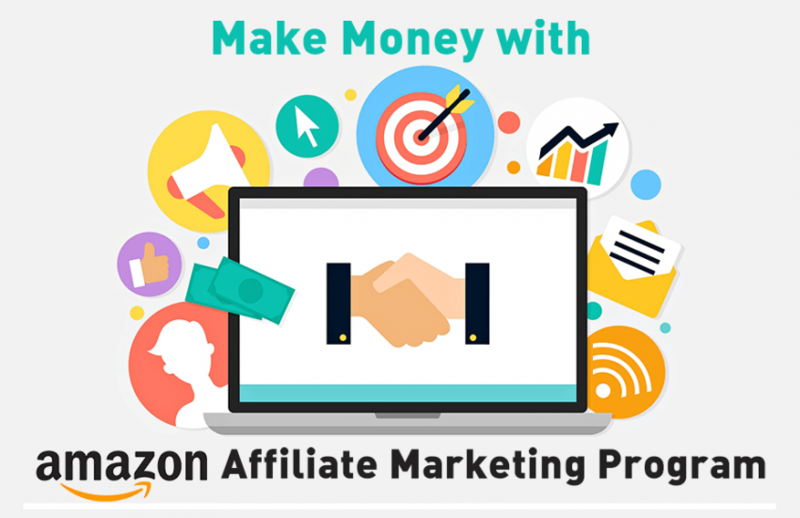 In case you are a blogger and you are wondering how you could take advantage of it and make more money, or you have heard about the wonders of using affiliate sites to earn some dollars, Amazon Affiliate may the perfect option for you. If used properly, it can help you make some money in your website through links of products and the commissions you get from them. Today we will show you what you need to know about it. Amazon Affiliate is a program created by Amazon in which you can become an Amazon Associate and start receiving money from the products that are purchased through the links that you post on your website. Once you have your website or blog and you choose the products that you are going to advertise, you will be able to get an affiliate link to that product from your Amazon account. Every time someone clicks on the link and buys the product, you will get a percentage from that sale. The percentages vary depending on the product you sell: they can be as little as 1%, in the case of video games for example, or go up to 10%, in the case fashion women products, for example. Becoming an Amazon Affiliate is very simple if you already have a website or blog. Go to the Amazon’s Affiliate Program website and click on “join”. There you will apply by creating an Amazon Associates Account. You will have to provide some information like the person who will receive the payment, your website description and links and the data that you want in your profile. After that, you will have to do identity verification and you will choose if you prefer you payment as a gift card, check or direct deposit. Once you’ve created your Amazon Associates account and your application has been approved, you can start generating links for your website. When you are on Amazon, you will have a gray toolbar called “Site Stripe” in the superior part of the website. This way, when you are viewing a product you can quickly generate a link for that specific product. In this toolbar you can also see your earnings and share links on your social media. When generating a link, you can create one with only with text, with images or a combination or both. You can also create banners so the links are more striking and noticeable. Although it may seem like using Amazon Affiliate is very simple, there are things you should consider if you want to use it effectively and avoid getting frustrated. Think about the products you are going to advertise. Choose things that go in a category that matches your website and that you know enough. This way, you can make trustable reviews and the visitors of your website will be interested in your product. Create a good website and keep it updated. There are many tools online that will help you create a blog or site. Try to post regularly, use keywords and keep the posts and links in the same niche. In case you are not very familiar with the creation of a website, invest and hire a freelancer to help you. You don’t need to spend hundreds of dollars; there are a lot of options available online. Do not abuse of social media. Although the program allows you to share your links with your followers on social media, do it carefully. Do not spam your followers because you could be reported and banned. Choose wisely what to share and when to do it, because it can be harder to get money sharing the links in your social media. Consider the country where you get visits. If your links are from products available in amazon.com and your visitor does not live in the U.S, he may be redirected to the Amazon site of his country. In this case, you won’t get your commission even if the person buys the product. This is because you only get money from the country your Associates ID belongs. In case you want to collect fees from other countries, you will have to create Associates IDs and links for each of them. Timings are 5:00 AM to 7:00 PM (Sunday to Monday).